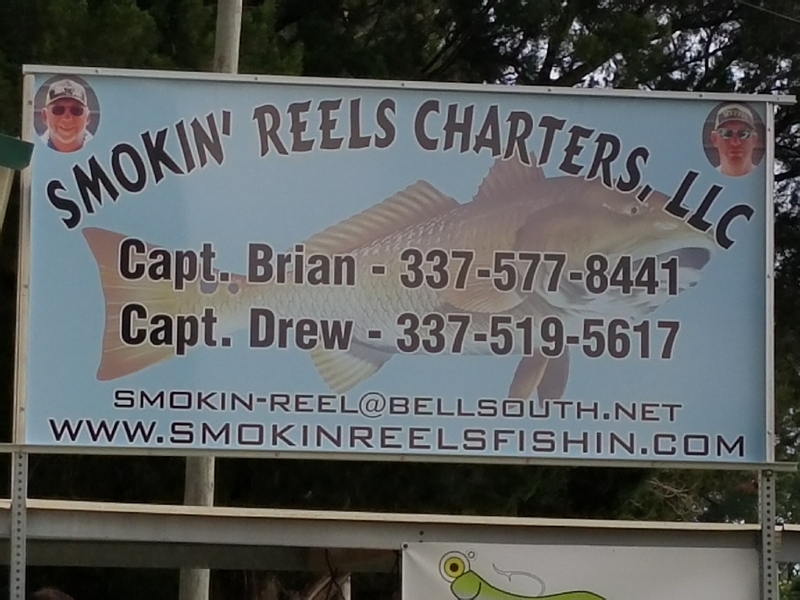 Smokin' Reels Charters LLC – Fishing in South Louisiana on the waters of the Vermillion Bay, Cypremort Point, South Marsh Island for Redfish, Speckle Trout, Flounder and Black Drum. GO TO BLOG PAGE TO SEE PICTURES! Call Capt. Brian and Capt. Drew today for a great time on the waters of CYPREMORT POINT, VERMILION BAY, SOUTH MARSH ISLAND or GULF OF MEXICO. We specialize in Inshore and Coastal nearshore fishing over the many oyster and clam reefs for REDFISH, SPECKLED TROUT, BLACK DRUM, FLOUNDER. We cater to the beginner fishermen to the well seasoned fishermen. We are a family orientated Company and would love to show your family an awesome day of fishing for everyone. GO TO BLOG PAGE TO SEE PICTURES! Capt. Brian with SMOKIN’ REELS FISHIN CHARTERS and his crew from Colorado had a great day today. Them 4HORSEMEN Corks still have me amazed with the fish they can put in the ice chest.